Offers thermostatic showering via two easy-to-operate controls. Separate controls for temperature and flow. Operates two shower accessories separately or simultaneously. 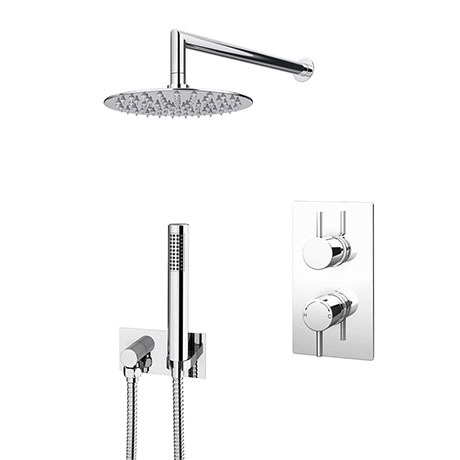 The stainless steel ultra thin round wall mounted rainfall shower head and shower handset feature rub clean nozzles and provide a invigorating showering experience.